ColdTrace is a wireless remote temperature monitoring (RTM) solution designed for vaccine refrigerators in rural clinics and health facilities. ColdTrace is WHO PQS Approved [E006/039]. ColdTrace collects critical data and provides customizable analytics and report-generating tools to empower health workers, inform ministries of health, and improve overall cold chain performance. We created the ColdTrace system to serve Ministry of Health priorities. Our low-cost system is fully customizable, and we offer data integration, custom SOPs, and language translation. Vaccines must be kept between 2°C and 8°C. But vaccine fridges in rural clinics often fail. Deviation outside this range can damage vaccines, resulting in unprotected children and wasted donor and country investment. A recent WHO & UNICEF joint statement found that 56% of cold chain equipment in low- and middle-income countries is poorly functioning or non-functional. Most of the newer vaccines are freeze sensitive, and, since most exposure to dangerous temperatures happens in static storage, monitoring and managing cold chain equipment temperature is critical. A 2013 WHO study in India showed that around 75% of freeze-sensitive vaccines had been exposed to freezing by the time they made it through the supply chain. The ColdTrace temperature sensor probe(s) are placed inside a vaccine refrigerator, and the ColdTrace device is positioned nearby, usually mounted on the wall. 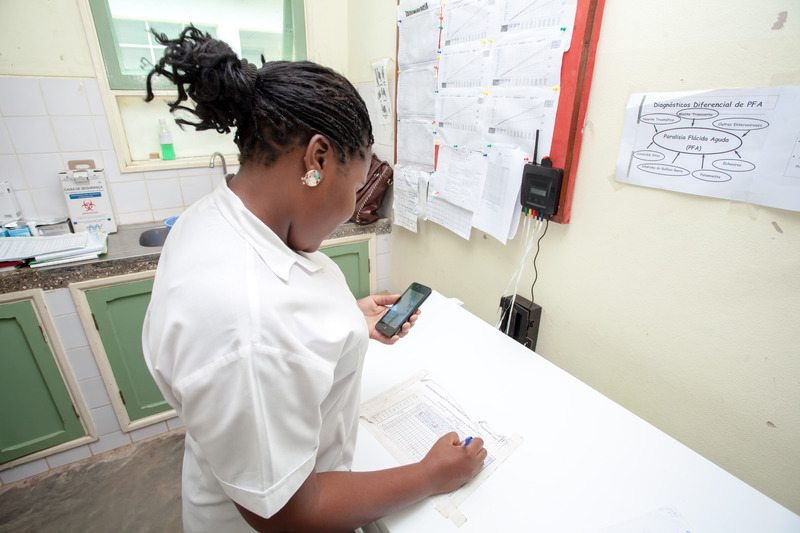 The device uploads temperature and grid power availability data to a server, and the systems sends SMS (“text”) messages to key personnel whenever vaccines are in danger. Long battery life (up to 3 days) ensures continuous operation in the event of a power outage. 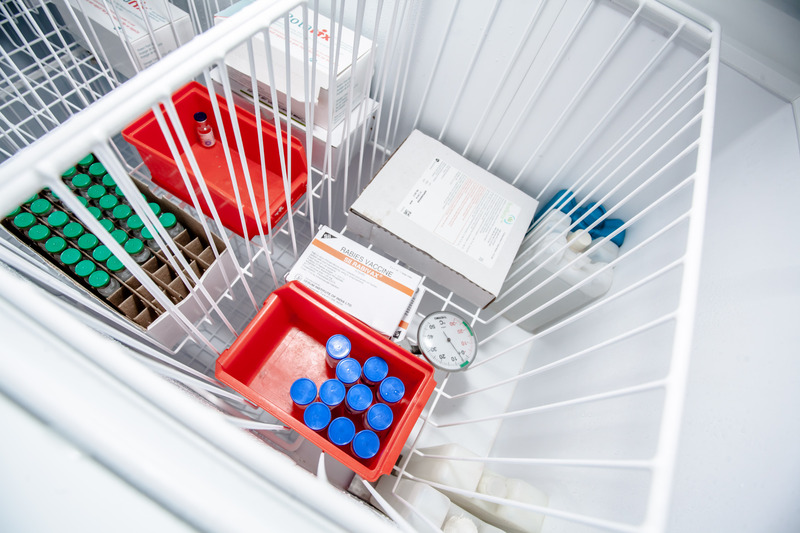 Nexleaf provides training for cold chain handlers and develops country-specific Standard Operating Procedures (SOPs) to post near the vaccine refrigerator. These guidelines help clinic personnel respond to ColdTrace alerts effectively. Remotely diagnose certain common causes of fridge failure using temperature data signatures. Fix fridges remotely with a simple phone call to the health facility (see image right). 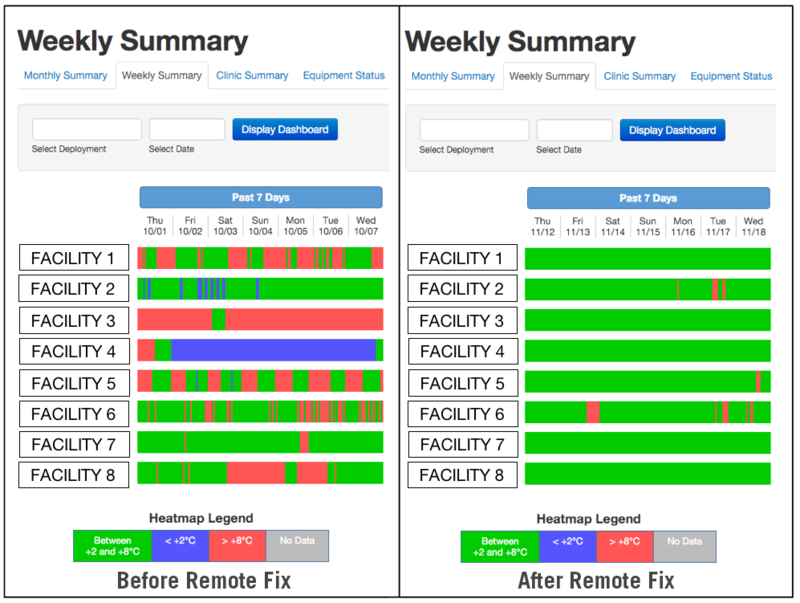 Verify fixes conducted remotely or in person by following temperature data closely after a fridge repair. For more information, please see our data-driven study, Why Fridges Fail 2: RTM Data for Maintenance. Shown right: Actual temperature data from the field, taken from our report (see above). Budget sufficiently for maintenance and spare parts. Plan procurement for new refrigerators based on equipment field performance. Access resources from international vaccine delivery partners to address critical equipment needs. As a technology company, we innovate, design, manufacture, sell, customize, and scale the sensors needed to strengthen immunization systems. 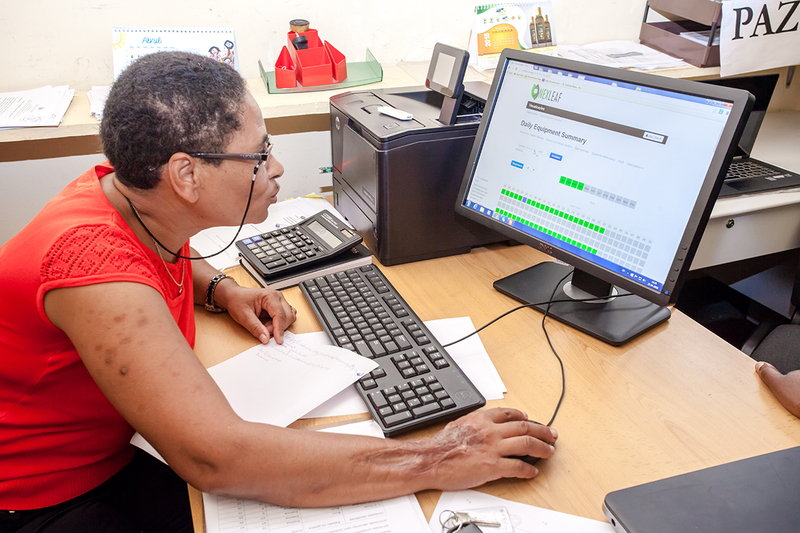 As data advocates, we work with countries, NGOs, and global partners to understand and integrate many data streams to maximize the utility of all data to improve vaccination. We engineer dashboards and back-end systems to provide countries and partners with the greatest benefit from all their data, and we always ensure countries and partners retain ownership of their data. We train health systems and NGO personnel on how to integrate data into their workflows to maximize the impact of our technology and all other data streams available. Our focus is always on serving countries and our partners and helping them achieve the best possible immunization outcomes.